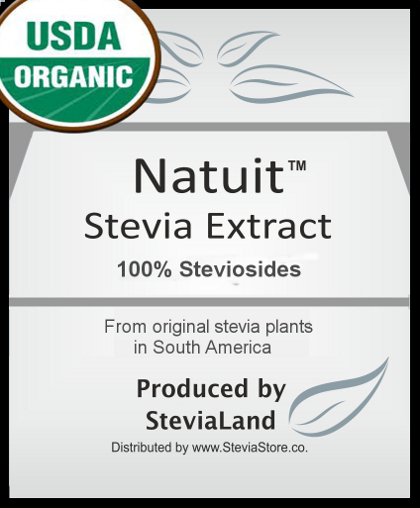 - Pure Stevia Extract by NATUIT™ . - 1 Lb (450 gr)= 10,500 servings. 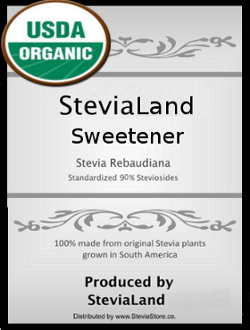 - Stevia Sweetener by SteviaLand™. - Stevia Morita seeds II / III. - Stevia Eirete I and II. - Total Steviol Glycosides: 12-17 %. - 3,000 metric tons per year.